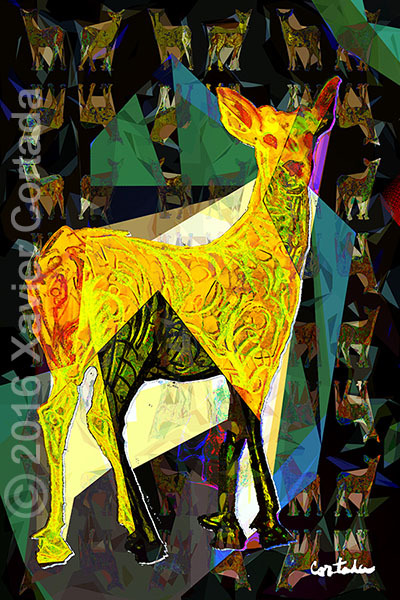 Xavier Cortada, “(Florida is…) Key Deer,” archival ink on aluminum, 60″ x 40″, 2016. The Key deer (virginianus clavium) is the smallest subspecies of white-tailed deer. Their range now includes about 26 Florida Keys islands from Big Pine Key to Sugarloaf Key and they can swim from one island to another.